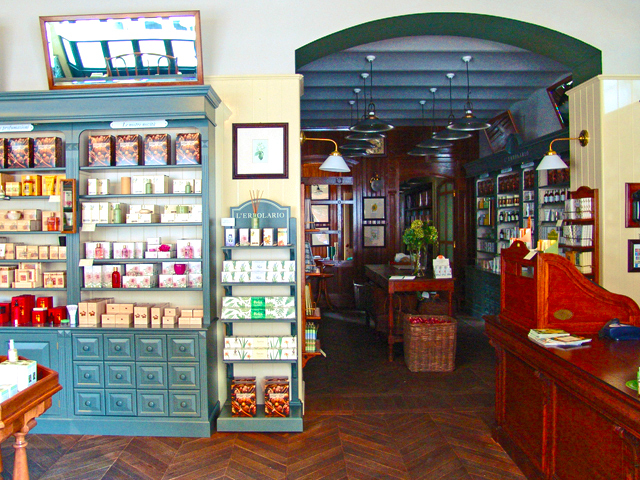 Somewhere between the pharmacy and the health food store, with a dose of monastery thrown in for good measure (Think: monks making elixirs from herbs grown in their cloistered gardens) stands the Italian erboristeria, or herbalist. These shops dot the urban landscape here and there, flavoring its heavily practical comings and goings with a quasi-mystical aura. I find it hard to pass an erboristeria without actually going inside. Something about it beckons. Perhaps it’s the handwritten signs affixed to the windows that many of them feature, touting natural cures to everything from bloating to “lack of harmony in marriage.” Perhaps it’s the well-organized bins of herbs and teas, drawers of ointments and tinctures. Perhaps it’s the profusion of heavenly aromas—or do I mean the profusion of positive vibes? It seems, inside the four walls of these comforting places, that no ill is too grave to be cured by the right extract, oil or incense. Click here to see a complete list of herbs and their purposes (in Italian). My thanks to Ann Moore for copy-editing this post. 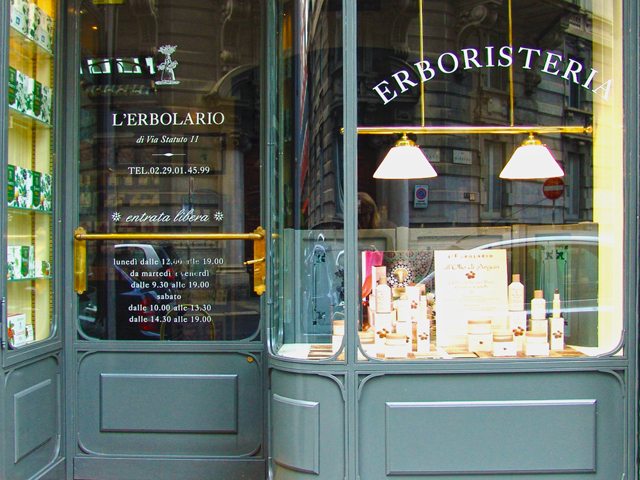 This entry was posted in AROUND US, ITALY and tagged erbolario, erboristeria, herbalist, herbs, Italy, MIlano. Bookmark the permalink. This, too, is something that still exists in France. Wonderful places they are, that harken of another time.